Both products had about sixty percent of the water removed via evaporation. Then they are homogenized, rapidly chilled, fortified with vitamins and stabilizers . 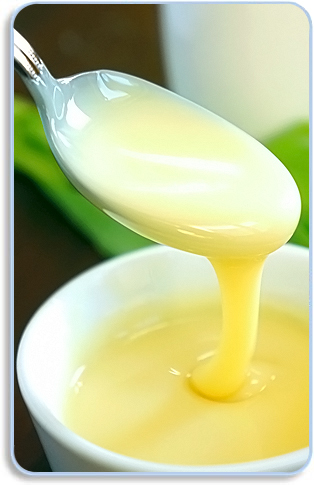 The sweetened condensed milk is made from milk and sugar or from suitable dairy raw materials, vegetable fat and sugar. White to light cream color, pleasant and sweet taste for sweetened, salty and sweetish for evaporated. Added to coffee and cocoa or used with soups, potato pies and pastries as well for making cream, ice cream and candies. 12 months at a humidity max 85% and at a temperature max 25C, 18 months at a humidity max 85% and at a temperature max 15C. In common or easy-open cans, different sizes, packed in cartoons (12 or 48 cans in one cartoon).